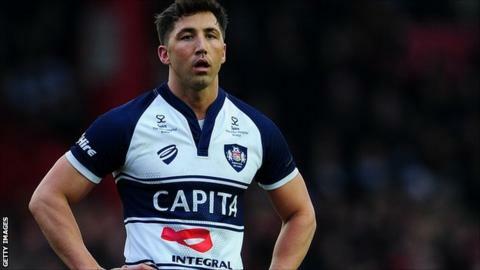 Bristol back Gavin Henson has signed a one-year contract extension. Henson, 33, joined the Championship club in 2015 from Bath and is among five players to sign new deals. "As a senior member of the squad, Gavin has shown his dedicated professionalism since joining," director of rugby Andy Robinson told the club website. "His displays on the field show he is still a Premiership performer." Henson made his name at Swansea and then Ospreys, winning 33 caps for his country and the Grand Slam in 2005 and 2008.